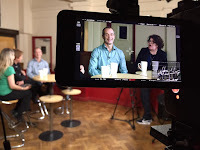 BLE Blog: "Are you ready for your close-up?" "Are you ready for your close-up?" 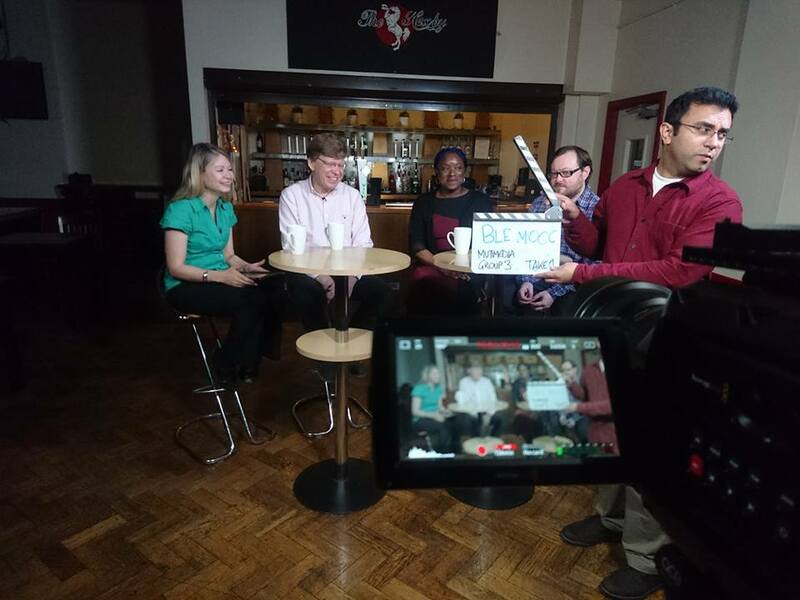 Last week, a film crew descended upon the RVC's student union bar, The Haxby, to record a series of videos for the BLE's MOOC 'Get Interactive: Practical Teaching With Technology'. 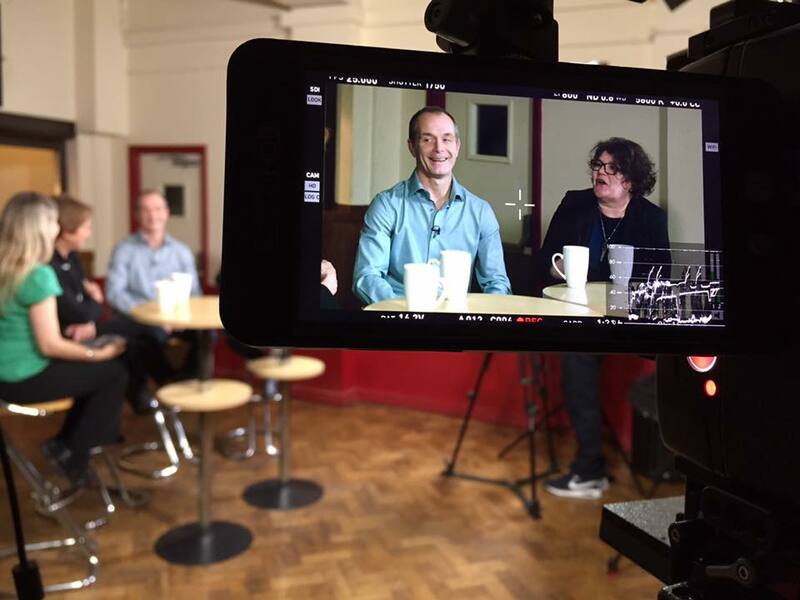 The course launches, in partnership with the University of London, on the Coursera platform in Spring 2017. Our MOOC is aimed at teachers of any level to learn new skills in developing more interactive and engaging online courses. 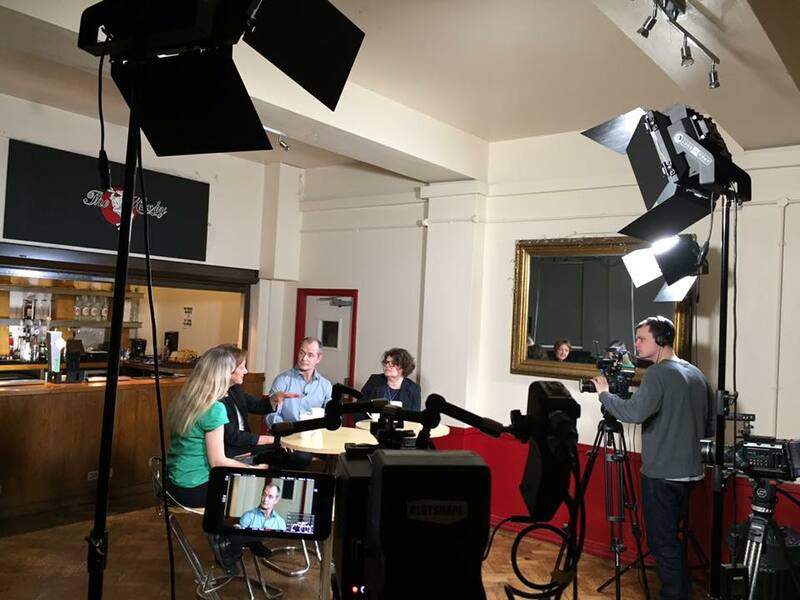 Rather than the standard 'talking head' video lectures that are featured in most MOOCs, our video content will include many screencasts, which demonstrate how to create a range of activities. In addition to watching these, participants will be expected to research, investigate, practice and share what they learn as they go along. We've made the MOOC as active and participatory as we can within the restrictions that Coursera presents. 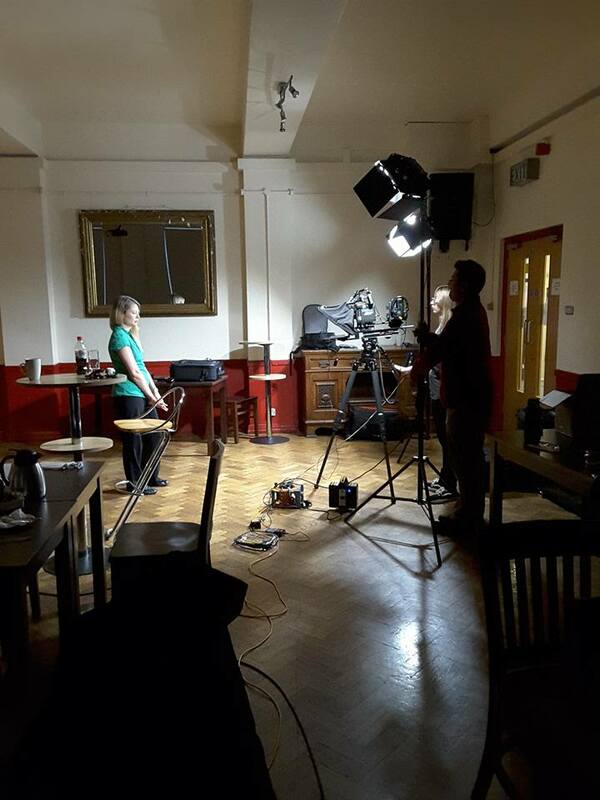 With my MOOC co-authors Nancy Weitz (digital learning specialist) and Eileen Kennedy (researcher in learning technology at UCL Institute of Education), we filmed the introductions for each of the three weeks of course and a few other pieces. 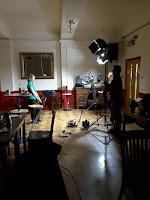 The film crew from Imotion were terrific - very professional and made us novices feel totally at ease. 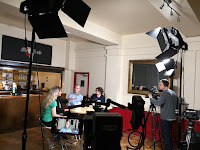 In addition to these snippets, we also filmed a series of conversations, where academics (from the BLE partner institutions) informally discussed and shared their experiences of introducing innovative ways to encourage their students to collaborate with each other, making learning experiences dynamic and memorable.